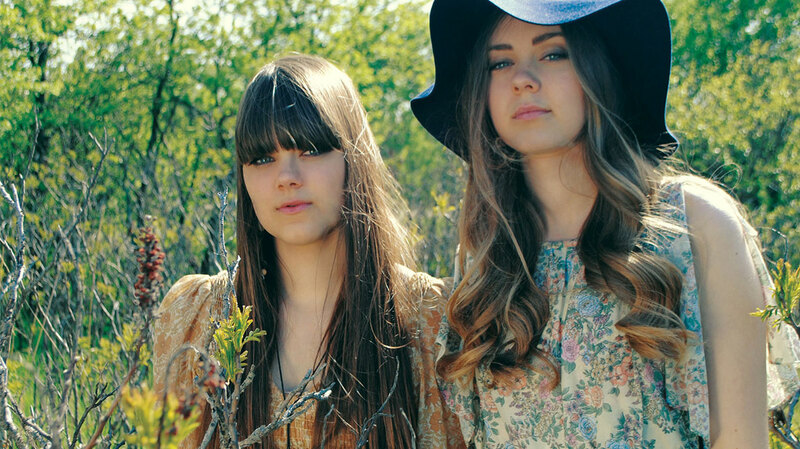 Now signed to Columbia Records, Swedish sisters Klara and Johanna Söderberg have just unveiled the follow-up to 2012’s The Lion’s Roar. We rang Klara to find out more about Stay Gold and to hear her experiences of being a female in the music industry. 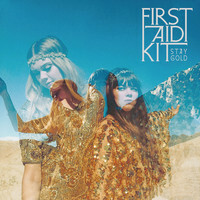 Stay Gold features much more lush, orchestral arrangements than The Lion’s Roar. Why did you decide to expand your sound? Partly it was because we wanted to try new things, but also it was because songs like "Stay Gold" and "Waitress Song" felt like that they could benefit from bigger, more dramatic arrangements. But then we ended up having string arrangements for almost all the songs on the record, simply because it sounded so good that we couldn’t not keep them in there! I think we were also really inspired by Townes Van Zandt’s record Our Mother The Mountain, and how the strings play a big part in that record. And also a record by Lee Hazelwood and Nancy Sinatra, that has these dramatic arrangements. This is the second time you’ve worked with Mike Mogis. Was there never any temptation to try working with someone new? Honestly, we didn’t even really talk about it. Even when we were making The Lion’s Roar, it was always the plan that we would make the next album with Mike. We just felt like we weren’t done; we had more to do together. I mean, it would be fun to work with other people as well, of course, but we really love working with Mike. What is it about his approach that you love? Well, we always start by talking about the lyrics – what it is that we want to say and what feeling we want to evoke with the music – and then he just makes that happen. I feel like Mike hears things that no-one else can hear, just doing these little things to the songs that, if you take them away, change everything. He really makes the songs what they are. So what was it that you wanted to say on this record? We notice there’s a recurring motif of travel and roads; was this influenced by touring? Well the “road” doesn’t have to be just an actual road; it sounds really corny, but it can be a metaphor for trying to understand the world and your place in it. I know that we didn’t want to just make an album about touring but, of course, the fact we have toured for five years is going to have a lot of influence on what we write. There’s just something pretty isolating about touring and being away from everyone that you know for a year, and then coming back home. On tour you have these schedules, and there’s a purpose to every day. Suddenly, you’re thrown back into the real world and you have to figure out who you are and what you’re going to do with your day. It’s pretty strange. Would you describe Stay Gold as more personal than your previous records? Yeah, I guess so, simply because as we get older there are more experiences to write about. For the first time, there aren’t really any songs based on a story here. At the same time, I feel like all of our songs are always personal. Even if we’re writing from the perspective of a middle-aged woman, it’s still about our fears and us dealing with being scared of what might happen in the future. The album title is inspired by Robert Frost’s poem "Nothing Gold Can Stay". How did you discover it? You’ve very much forged success on your own terms and retained your own distinct musical identity, which is quite rare in this day and age. Is being a good role model for other musicians important to you? To inspire anyone is always amazing, but I’m really happy if we can inspire other girls because I know we have a big problem in our society with sexism. If we can come out and say “Hey, we’re just doing this on our own terms,” maybe they can too. If you had to offer one piece of advice to anyone starting out in the industry, what would it be? I think to just do it. When you’re making something creative, it doesn’t matter if it’s bad or good; you can’t think about that, you just have to write. Other people will always have their say about your work, but if you do something that you feel good about then no-one can take that away from you. There’s just so much room for everyone to write, and they should because it’s really such a joy. You can just forget about the rest of the world. And then you get to play shows and see that these songs actually mean something to other people... That’s really cool. Do you have an ultimate goal you’re driving towards? Honestly, no. I don’t think having a goal when you’re making music is very interesting. Of course, there are things like the fact we’re playing the Royal Albert Hall this year – which is really amazing – but that was never really a goal; it’s a bonus. When you’re making music you just have to have fun with it and make it for the sake of making it. I’m just happy that we get to do that and call it our job. So I guess our goal is to be able to create music for the rest of our lives. I don’t know if we’ll be able to, but I certainly hope so because we love it so much.